What a new fence can do for your garden. 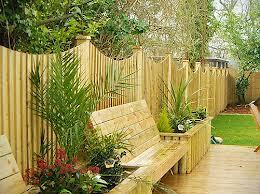 If you are considering a new look for your garden, consider installing a new garden fence. A new fence can provide a wide range of advantages in terms of both décor and security. If you have a dog, no doubt you give them access to the garden. A fence can provide you with peace of mind by preventing your pets from running free when they go out to exercise. If you’re a DIY enthusiast, there are many ways to construct a pen for your animals that fits onto your fencing. This will not only keep them safe and secure, but will in blend with your garden décor. Fences come in a wide range of finishes and styles. Iron fences commonly come in two categories ; ornamental and industrial. Ornamental iron fences are traditionally used to achieve the maximum amount of privacy; while industrial iron is known for its ability to be customised to fit an aesthetic requirement. If your budget is restricted then a chain link fence might be a more suitable option. This can come in a variety of colours and some suppliers even let you even create your own colours for the finish. Windscreens can be added to chain link fences to enhance the look and privacy. The traditional wood fence comes in many designs. Depending on your budget, you can choose from a variety of woods all with their own unique qualities. Wooden split rail fencing is a very common style, but can’t be combined with other materials, which will prevent customization. When choosing your new fence, make sure it will be strong enough to withstand a forced entry and remain stable in the event of an intrusion. In addition, ensure that it’s strong enough to withstand weathering. You may need planning permission to install fences over 1metre high where they are adjacent to a road, or 2 metres high elsewhere. If you’re unsure about the rules and regulations, you should check with your local council. Kieran McVeigh is a freelance gardener and writer from Cornwall. He’s an avid collector of wellies and loves to work on residential properties. ← Where Do Plantation Shutters Work?